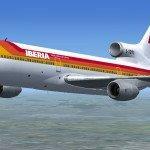 Iberia promotion code 2019 - 15% discount all flights! South America: Flights from the UK to Peru from £400! Fly from London to exotic Cocos Keeling Islands from £707! Spanish flag airlines Iberia have just announced that they released brand new promotion code in 2019! Till 10th of January you may take the advantage of this generous promotional offer with Iberia. Save 15% off all flights to all destinations operated by this carrier. We have checked and it should work on most of main European markets. Consider to use this promo code when departing from UK, Germany. Spain, Switzerland, Italy or France.. If we come accross another origins where the promo code is availalbe we will update this article so stay tuned! This latest Iberia discount code works on all flights in Europe or, Central and South America as well as Africa in scope of this Spanish carrier. Discount is applied to both Economy as well as Business class flights..
How to apply Iberia discount code. : Please choose one of below promo codes based on the origin country. Once you choose your return flight at Iberia you can use this voucher code. It will be possible to find separate box “I have a promo discount code” right below your chosen flight once you proceed to step two. This current Iberia promotion code 2018 is possible to apply on all flights operated by Iberia. also Iberia Regional Air Nostrum. Discount is applicable per booking. The discount works on long-haul as well as short-haul flights. This Iberia promotion code is valid for flights in travel period till 31st of June 2019. This Iberia discount code is however valid for bookings made only till 10th of January 2019. So hurry up if you want to book discounted flights with Iberia. This time there is no minimum purchase value applicable. This Iberia promotion code is applicable on most of major European markets. Look for discounted flights when departing from main airports in UK, Germany. The Netherlands, France, Italy or Belgium. To take the advantage of this voucher code with Iberia or in case of further details please visit their website directly here. Booking sample of successfully applied Iberia promotional code 2019. In this case you would be flying from London to Lima in Peru, on 22nd of September 2019. Your return flight from South America back to Germany would take place on 13th of October 2019. You would easily save over £73 just by using this currently valid Iberia discount code 2018. You would pay total £418.04 for a round trip ticket to this classic destination in Latin America.